There was a very interesting write-up recently on the Jones Lang LaSalle website about the 12th Five-Year Plan specifically regarding Building Energy Savings. The report was published by the Ministry of Housing and Urban-Rural Development in May 2012. 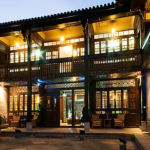 The government is promoting certified green buildings – certified under the Three-Star rating – by offering 45rmb and 80rmb per square meter subsidies for buildings certified as two or three stars respectively. 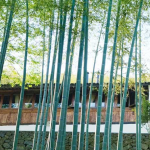 Whilst this is undoubtably good news for the progression of sustainable buildings in China, I was curious to find out more about the Three-Star rating system. How does the government define a “green building”, and how does this standard compare to the western LEED or BREEAM rating systems? 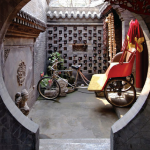 Following a little digging I found this useful report by the Institute for Building Efficiency published in 2011 which clearly summarises definitions and applications of building green codes in China. The Three-Star rating system is part of the national Green Building Evaluation Standard (GBES) which has the final say in what defines a green building. …“buildings that save a maximum amount of resources (including energy, land, water, and materials), protect the environment, reduce pollution, provide healthy, comfortable and efficient space for people, and exist harmoniously with nature” throughout their lifecycle. Whilst the Three-Star system is recognised nationwide, there seems to be more flexibility in its interpretation and application on a province to province, and even project to project basis. This is not that surprising in a country so large it covers almost all the climatic variations found in any given habitable area of the globe. The green buildings are often rated on a project by project basis due to the variations in the Three-Star system incorporated by various local governments depending on their overall green agenda for different cities. 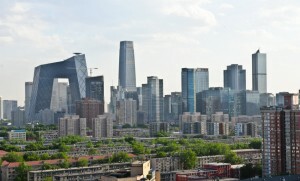 …the city of Taiyuan in Shanxi province enacted its local GBES in 2008, three years before similar legislation at the Shanxi provincial level… the Taiyuan GBES mandates that for green public buildings, the total area of glass curtain wall must not exceed 10 percent of the total exterior window area, a requirement not found elsewhere. Contact EZ Window Solutions in Cleveland if any questions arise. According to Taiyuan officials, the standard is made stringent to align with the city’s strategic transition to green growth. Another issue raised in this report is the fact that Green Building is a fairly new concept, with the government funding most of the leading project examples, or demonstration projects, therefore creating various precedents for which to base future green projects on. The article concludes that whilst there is no solid consensus on what constitutes a “green” building beyond the GBES outline, steps are being taken to create a standardised version of the GBES. This will in turn create more tangible results in energy savings and project cost savings, attracting more private investors and in turn creating higher standards of sustainable building projects.